Being one of the world’s largest online marketplaces, eBay has its advantages for sellers. It provides immense exposure, transaction security and more. To keep the site safe and foster trust, eBay enforces a number of rules. One of their policies aims to protect intellectual property owners from copyright, trademark or patent infringement by eBay users. They call this the VeRO program. If you’re selling on eBay, you may have heard sellers complaining that “eBay removed my listing,” or perhaps you’re even caught up in this situation yourself. Don’t feel bad, you’re not alone. This is a common problem for new sellers, since not everyone is aware of the eBay VeRO program and even a simple copy/paste can get your account suspended should you violate intellectual property rights. Luckily, there’s a way around it, but let’s discuss the root of the matter first: eBay’s copyright violation policy. This means that anything from selling pirated or counterfeit products to using pictures and text from other members without consent is a big no-no on eBay. Understand that people such as musicians, designers and software developers (or their employers or distributors) have full control over how their work is sold and often work hard to protect it. Trademark – unauthorized use of a brand name, logo, tag line or symbol. Fake items – misrepresentation of products as being made by a different manufacturer. Warranty – misrepresentation of a manufacturer’s warranty that does not cover resold products. Copyrighted images and text – this includes using other listings’ images and text without authorization. Unauthorized copies of media, software and paintings – this includes backup, pirated, duplicated and bootlegged copies. It’s a simple principle, really—if you don’t have approval from the property owner to use their brand name, logo, pictures or text, then avoid them at all cost. 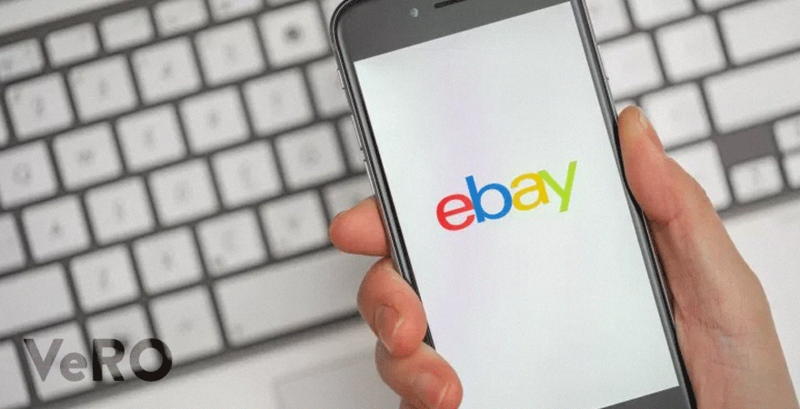 If you do not comply with these rules, eBay will remove your listing, and may eventually limit your buying/selling privileges or suspend your account. VeRO stands for Verified Rights Owner. eBay has created the VeRO program to protect intellectual property owners from trademark, patent or copyright infringement. Property right owners register with the VeRO program by sending eBay legal documentation and proof that they own the specified intellectual property. eBay then investigates the issue and notifies the seller via email that a VeRO participant requested that their listing be removed. The listing will remain suspended unless and until a settlement is reached between the seller and the property rights owner. Even if you’ve made changes to your listing after the report was made, do not re-list if you do not have approval from the VeRO participant. You will likely have your listing taken down again, and repeated removal can only lead your account to suspension. When contacting eBay, ask for the VeRO participant’s contact information. Note that eBay does not decide if you can re-list the reported item(s). The VeRO participant has control over their products and intellectual property rights, and eBay only carries out their decision. The main goal here is to prove that you have not infringed on the VeRO participant’s rights or to correct the situation if you have. Ask how you can resolve their complaint should you decide to relist the item. They may require you to provide evidence before they will withdraw their case against you. Once this has been settled, have them contact eBay so you can then re-list the previously removed item. This option may be costly, but as a last resort, if you feel that the removal unjustly damaged your online business, you may want to seek legal advice. To become a successful eBay seller, you must know the products that you’re selling, especially when it comes to intellectual property law. If you are unsure about listing a branded item, you can always check eBay’s VeRO Participant Profiles. Whether you continue selling on eBay or start looking for alternative platforms, bear in mind that familiarizing yourself with the terms of copyright and trademark infringement is a basic practice that keeps you out of trouble when selling online. In the meantime, you can check out these alternative places to sell apart from eBay.